The publication also serves as a venue for organizational reflection. 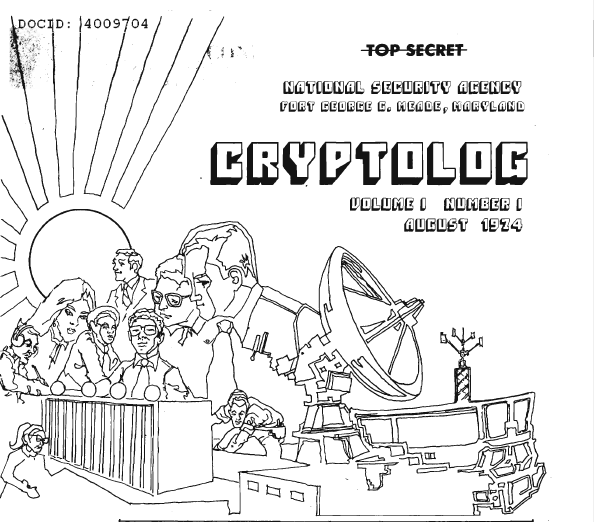 Conflict between linguists and cryptanalysts over promotions and pay scales rages in the pages of Cryptolog for two years, and a four-part series (1 2 3 4) on the agency’s intern program is published in 1974. The publication also brought points of levity with appropriately vexing brainteasers for cryptanalysts and a short-lived bloopers feature. This index was produced in hopes of encouraging and facilitating historical research into the NSA’s evolution through, and consideration of, the information revolution.